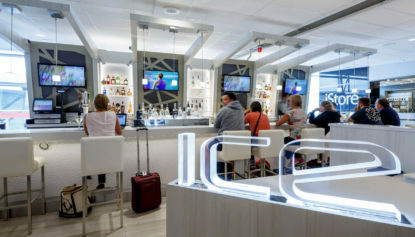 Ice Bar is a concept centered around the offering of elevated cocktails and fresh half-shelled oysters, on ice. 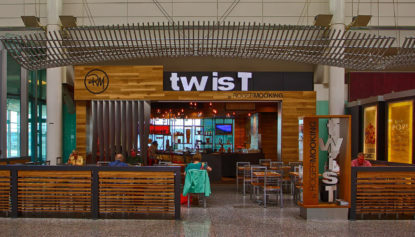 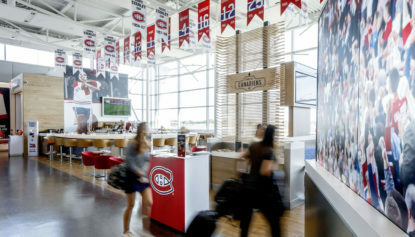 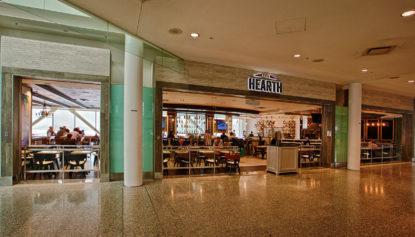 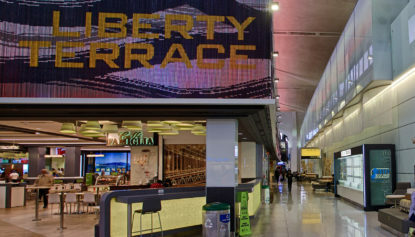 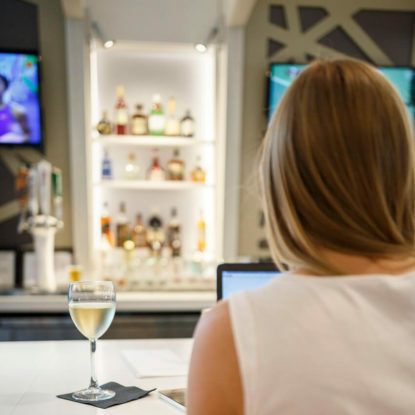 This 1,900 SF space is centered in the middle of a gate hold in the international jetty of Pierre Trudeau International Airport (YUL) and catches the eyes of travelers. 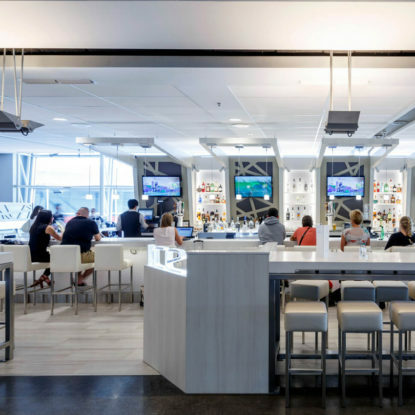 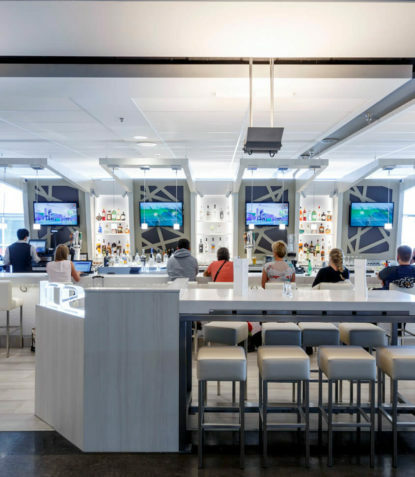 Cool, muted tones of champagne colored materials, white washed woods, and brushed aluminum details, invite you into an escape from the bustle of the surrounding airport.